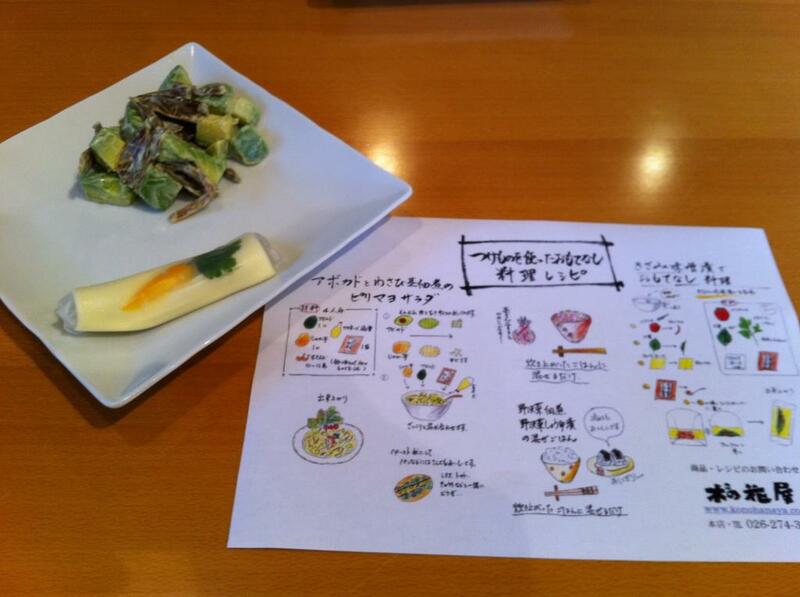 Learn Recipes Using Japanese Pickles at a Boutique Tsukemono Store. 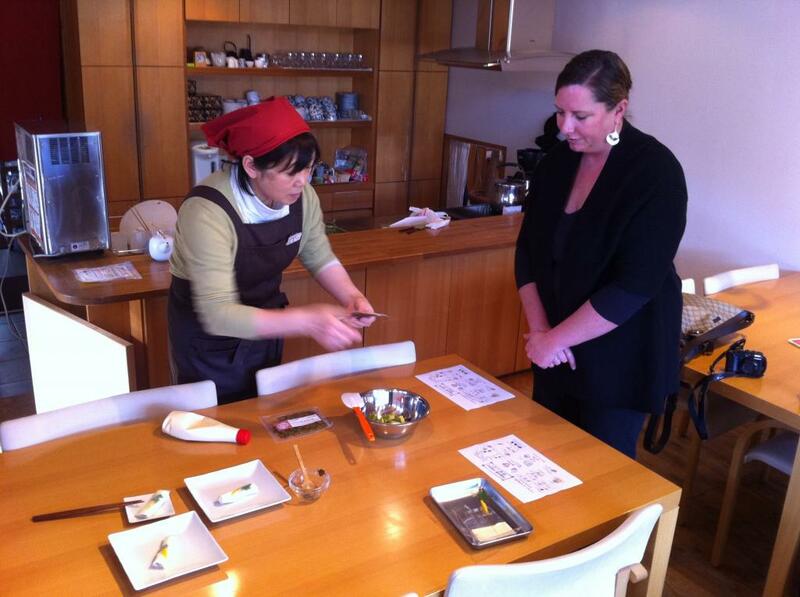 Learn some creative cooking recipes using 'tsukemono' at Konohana, Nagano's premier gourmet tsukemono maker. Pickles are a quintessential part of any Japanese meal. That's especially true in Nagano, where tsukemono are an important usage of vegetables to get people through the long winters. While pickles are mostly considered a side dish, boutique tsukemono-maker Konohanaya encourages using them as an ingredient in main dishes. Take a tour of their shop to see the wide variety of tsukemono they make, then sit down and have the staff demonstrate 3 different recipes featuring creative uses of their products. Of course you get to sample your creations, too! Classes offered at 10:30 and 14:00. Classes available from Monday to Saturday. Closed around New Years. Store hours are 10:00-18:00 (-17:00 in winter). 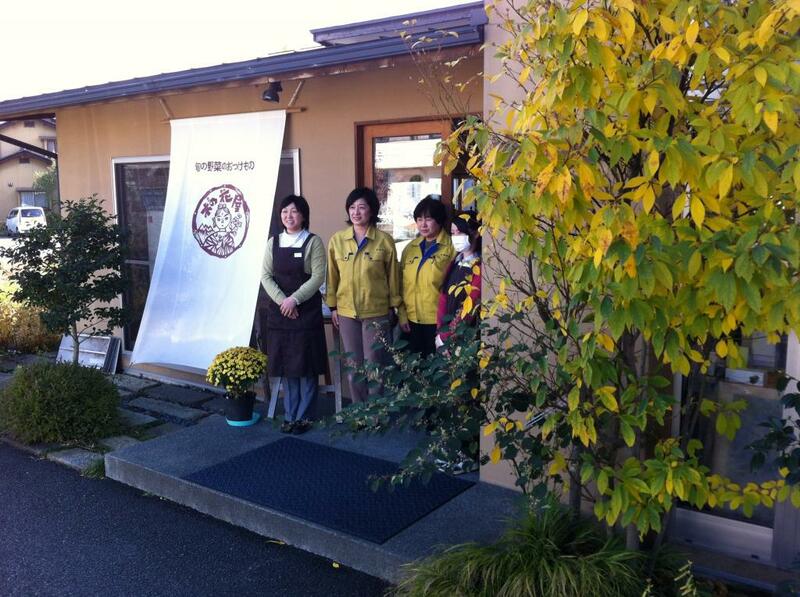 Konohana-ya also has a shop by Zenkoji Temple in Nagano City. From Yashiro Station(Shinano Railway), 25 min. Go straight from the station 400m to Route 18 (Kuiseki signal) and turn left. Go south 800m to the next signal (Usawa), turn right on to Route 340. Konohanaya will be on left in 1.1km before bridge. From Koshoku IC, Go south on Route 18 for 2.7km and turn right on to Route 340 (Usawa signal). Proceed 1.1km and store will be on left before bridge. Go Jomon! Experience Japan's Prehistoric Era : Experience the Lifestyle of Japan’s Prehistoric Jomon Period. Zazen Meditation -- 5am Zazen at Kaigen-ji : Quiet Your Mind with 5am Zazen Meditation at Historical Kaigen-ji Temple.